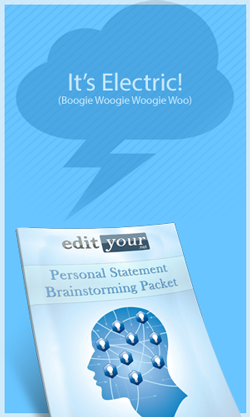 Download this FREE 10-page personal statement primer and then try our comprehensive 30+ page guide “How to Write a Personal Statement: The Ultimate Guide” and our “Personal Statement Brainstorm Packet“. 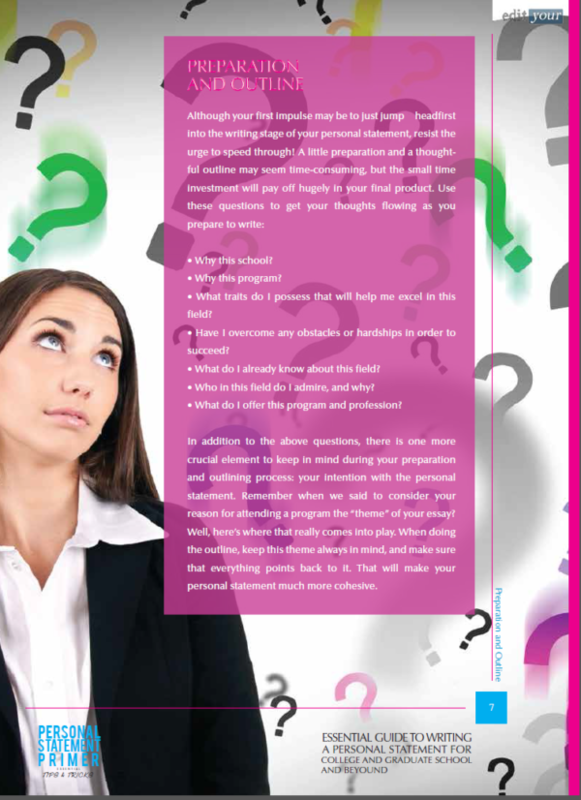 All these together create the perfect resource for writing your personal statement. 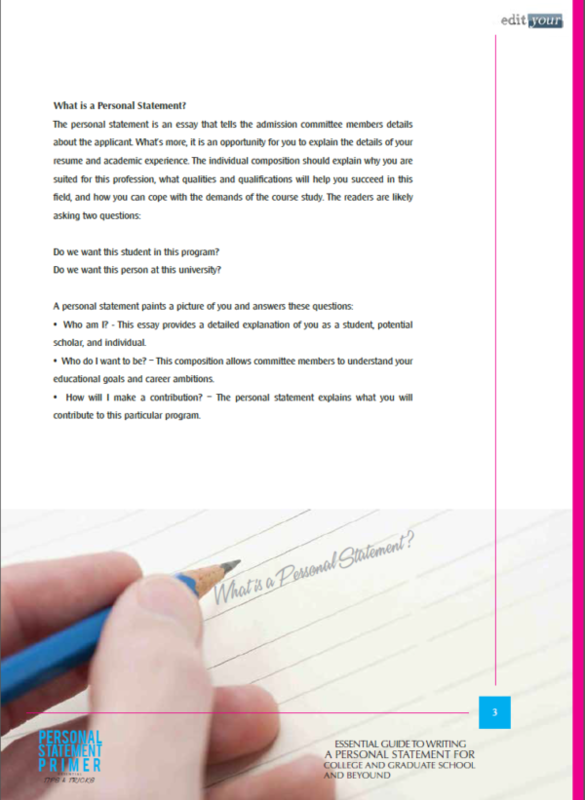 Are you applying for a college program or graduate school? If so, you are not alone. Enrollment in college is on the rise—between 1985 and 2010, it spiked 78 percent. That means programs are more competitive, admission is more coveted, and applications have to be more spot-on than ever before. 21 million – The number of students expected to enroll in American universities in 2014, a 6 million increase since the year 2000. 5.5 million – The number of people who will attend private colleges. 4 million – The 18 to 24 year old U.S. population increased by 4 million (from 27 million to 31 million) between 2000 and 2010. 2.6 million – During the 2012 to 2013 academic year, schools awarded over 900,000 associate degrees, 1.8 million bachelor degrees, 750,000 master degrees, and 175,000 doctoral degrees. How can applicants stand out among the countless others who may have similar academic credentials? The key is the personal statement. This portion of your application is where the test scores, the grades, and the lifeless facts stop speaking for you. This is where you get to describe, in your own words, why you are a strong college program or graduate school candidate. 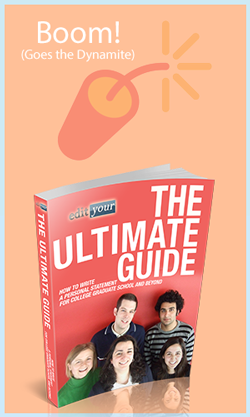 This guide will provide some thoughts, tips, and practices to keep in mind throughout the entire writing process. 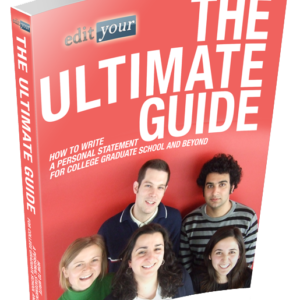 Use these tools to write a personal statement that will make you memorable and, hopefully, accepted into your program of choice.